One of the projects that commonly gets overlooked, regardless of its important role, is any type of window dressing. Choosing just the right type and style of window treatments in Ventura for your home is as essential as choosing the right paint for your walls, if not more so. Yet too many homeowners make decisions about window dressings as more of an afterthought. It can be easy to feel overwhelmed by the whole home buying and moving process. Yet, do not make the mistake of letting that deter you from investing your time and energy into getting just the right window coverings for your home. Learn about these simple facts and you will start to realize the importance of getting quality treatments in place. Your window treatments offer a variety of other traits that make them vital for your home. They help make your home more energy efficient, which helps you save on energy bills and makes your home more eco-friendly. Plus, quality window dressings also lower the chances of UV rays fading or damaging your furnishings and flooring. Texture can do as much for your selection as vibrant colors or bold prints, just in a more subtle way. Opting for woven shades in a neutral, earth tone adds depth and sophistication. It is also not going to go out of style, the way many fad colors and patterns will. When in doubt, it is always a good idea to stick with minimal. You can dress up a room with decorations, accent pieces, art and even the wall colors. Yet taking a gamble with the look of your window coverings could end up a costly mistake. Since they are not easy or cheap to replace, stick with the basics and dress up the rest of the room. On the other hand, the alternative option that you have is to make your window dressings the focal point of the room. With exciting selections for trendy colors and creative prints, your window treatments can steal the show. However, make a decision if it will be the windows or some other aspect of the room that is in the spotlight, otherwise it will clash and be too busy. 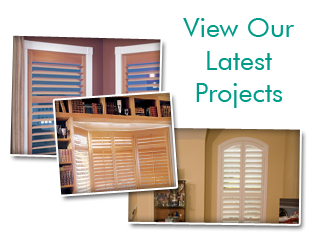 Looking for Window Treatments in Ventura, CA? Call Us! 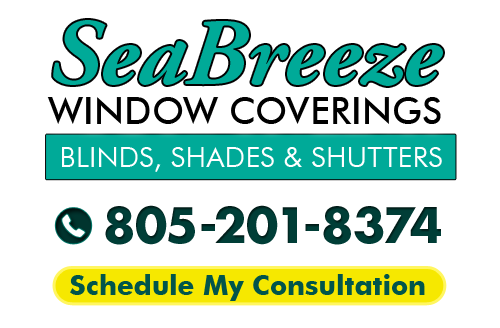 Your local window blinds and shutter company in Ventura, SeaBreeze Window Coverings, can help you better understand the importance of your window treatments, as well as how to pick the right one. When it comes to your Ventura home, don’t settle for anything less than the best. If you are looking for window treatments in Ventura, CA then please call 805-201-8374 or complete our online request form. I found this company through Yelp and now I'm here as a customer giving them 5 stars myself! They showed up on time for the estimate, they were professional offering good suggestions, the blinds arrived sooner than expected and they did a great job with the install. All around good experience. Would like to say, these guys were great! Showed up on time and were very efficient as they addressed all my window treatment needs. Loved that they were there through the whole process. They give free in home quotes and worked around my schedule as I could only do on a Saturday.